Citation: Slate, J. R., Manuel, M., & Brinson Jr, K. H. (2002). 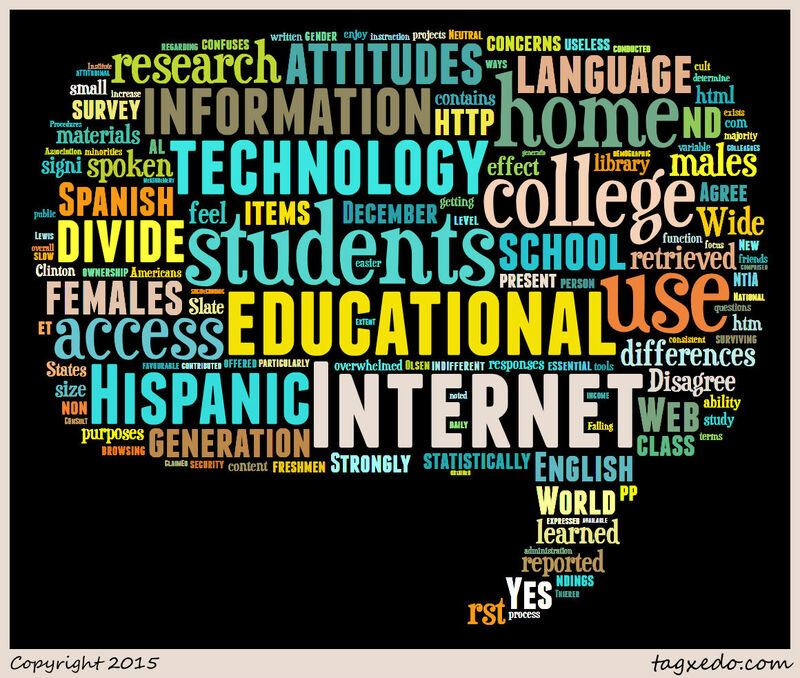 The "Digital Divide": Hispanic college students' views of educational uses of the Internet. Assessment & Evaluation In Higher Education, 27(1), 75-93. Summary: The author identified a digital divide specifically for Latina/os populations in high school and explored how this divide impacts beginning Hispanic college students in terms of their computer and internet skillset and techno-disposition, with particular attention to gender, first generation college student status, and primary language at home. 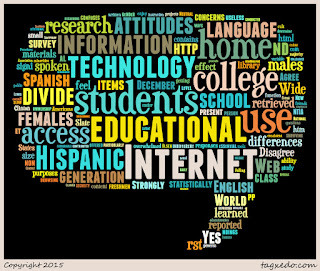 They surveyed 226 Hispanic students at Southwestern university on topics including attitudes towards the Internet and its educational use, personal computer and Internet access and usage, personal learning experiences on the internet, frequency of Internet use, and demographic content. The analysis revealed gender differences in terms of disposition, usage, value of information on the Internet, and educational benefits of the Internet. The primary home language also correlated with techno-disposition, with a more positive view of technology if English was the primary language. Additionally, students whose home language was Spanish were more likely to learn techno-skills outside of the home. Using a closed-question survey, the authors’ research is limited in understanding why these correlations exist and prevent from understanding how just differences are experienced by students.